Ronly is a trader of physical metallurgical and agricultural products and commodities, based from its London corporate office. The company was founded in 1979 and has built on its trading experience to develop a global network of permanent offices and representatives. We offer a range of tailor made services, focussing on an individualised and personal approach to deliver cost effective solutions and a strong working relationship with our customers and suppliers alike. In addition to sourcing materials at the most competitive prices thanks to our long-standing industrial relationships, we offer trade finance solutions and logistics support to manufacturing and trading companies across five continents. Our vision at Ronly, is to be at the centre of open and clear international commodity trading. In a world overburdened by compliance, our role is to simplify business for buyers and suppliers and to exceed their expectations. We have over 30 years of experience, building relationships with buyers and sellers, financiers and partners throughout the supply chain. Trust is fundamental to successful trade and can only be achieved by nurturing relationships with partners. Partners rely on our industry and tenacity to deliver on our promises. 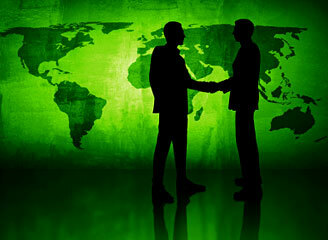 If a partner encounters a problem in a trade, we will treat it as our own and seek the best remedy. We will provide efficient and tailor-made answers to your trading and shipping requirements. We will not accept no for an answer, because even the most complex puzzle has a solution. We are proactive, full of energy and industrious on your behalf. We can rely on a wealth of experience, current market knowledge and a global network to deliver. If we do not perform, it is our partners’ businesses which suffer and this is an unacceptable outcome to every member of Ronly. A founding shareholder of the company, Nori is Head of Trading for metallurgical products and bulk agricultural commodities. His remit extends to investment, presenting growth opportunities to the Board. Erol is the head of the Agricultural division, specialising in Edible Nuts and Dried Fruits. He joined Ronly as a director and shareholder in 1983. Madaleine joined Ronly in 1986 as Finance Manager. She is responsible for the daily management of the Treasury Department, controlling the Group’s trade finance facilities. Ashley qualified as a Chartered Accountant before joining the Finance division as Financial Controller. He now heads the Accounts department and sits on the Quality Management Committee. RONLY takes a front seat in the trading community in delivering products that comply with international laws and standards. We can demonstrate this with key Quality and Safety certifications, including ISO 9001:2015 and memberships to leading industrial associations. We keep a close watch on issues of sustainability and will work with our partners across all divisions to ensure we comply with relevant regulations as they develop. We are also a proud benefactor of The Bosphorus Foundation, a charity set up in response to the 1999 Turkish earthquake disaster, which killed 17,000 people and left a further half a million homeless. Each year we donate significant funds to the charity to further its support of educational, health and humanitarian causes worldwide.